1:18 MAISTO ASTON MARTIN DB7 VANTAGE BLUE - HARD TO FIND IN THIS COLOUR! 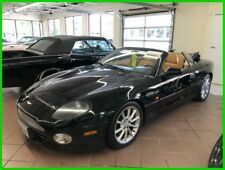 1/18 Aston Martin DB 7 Vantage 1999 Maisto box no. This page was last updated: 21-Apr 08:17. Number of bids and bid amounts may be slightly out of date. See each listing for international shipping options and costs.